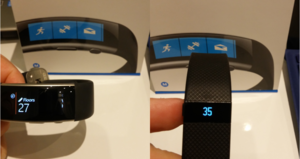 So I decided to upgrade from the Fitbit step counter to the Band 2 due to the fitness features and GPS. I also quite liked the idea of notifications on the band and I did not want a smart watch as I have watches that tell the time from Tag (the Tag Connected is another story). What I also did not like about the Fitbit is the skin irritation that I got if I wore it too close to my skin. 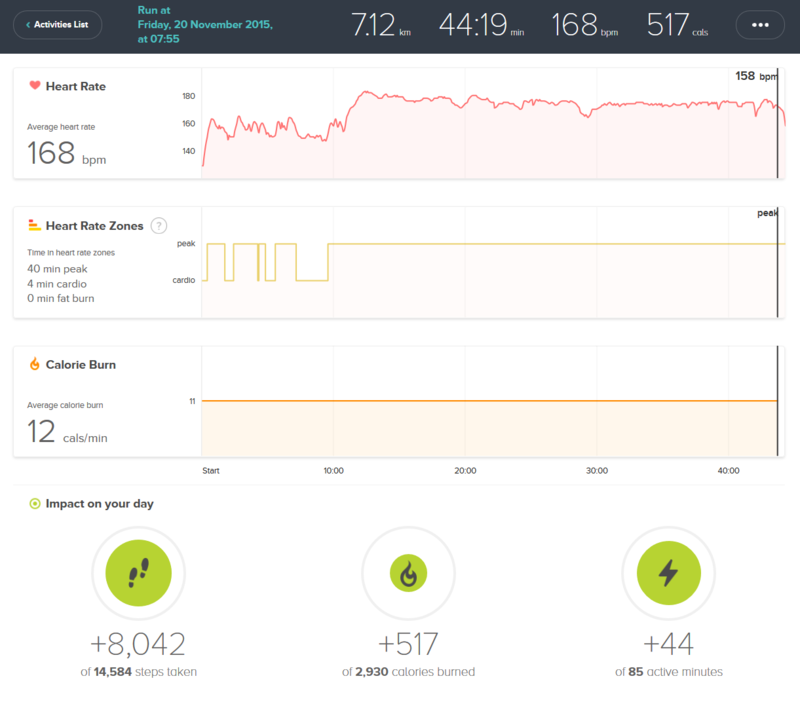 Fitbit’s advise was to wear it slightly bigger for normal activity and tighter for workout where you wanted a more acurate reading. Otherwise they were happy to refund me if this wasn’t ok. I put up with it. I went for the Band 2 in a medium size after printing out the size guide, it seemed fit well. When the band turned up, I am actually wearing it nearly on the smallest setting. I know someone who ordered a large (coming from a Band 1) and it worked out too big so they are exchanging it for a medium one. I have previously owned the Sony Smartband and Jawbone Up24. Both I moved away from as I liked the idea of a display on the Fitbit, plus the social element of challenges. So on Friday I decided to wear both band for the day and go for a run. 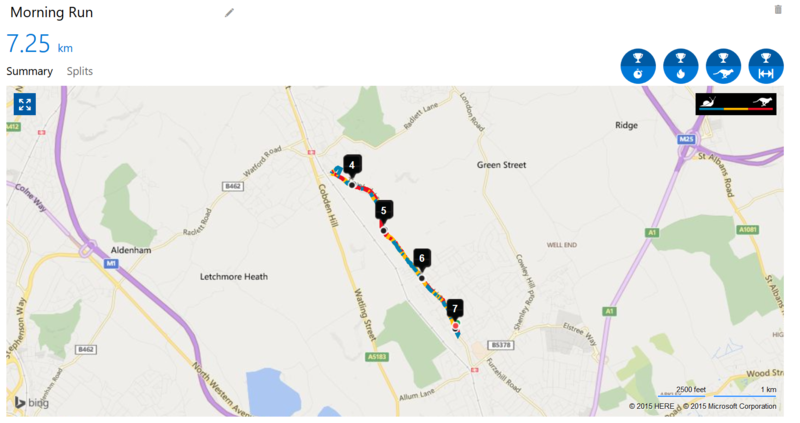 Previously I was using Strava on my LG G3 when out running to measure my distance etc. Now the Band 2 can integrate to Strava but I will do another post on that. 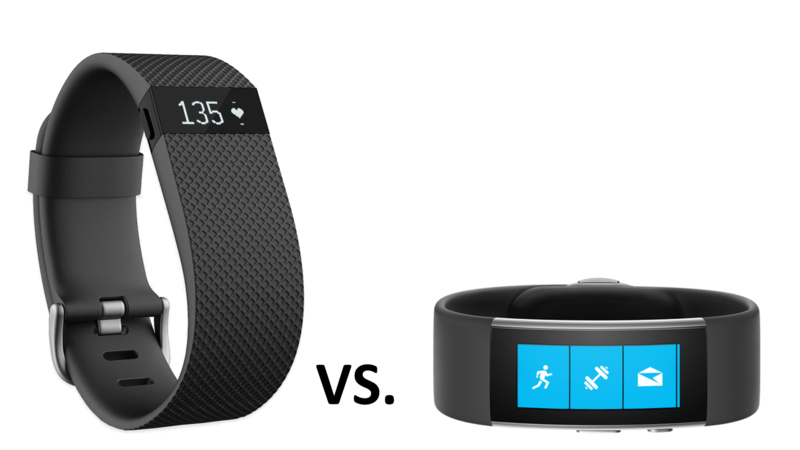 So let’s compare the devices in terms of steps, distance and floors. Here are the total number of steps for the day. 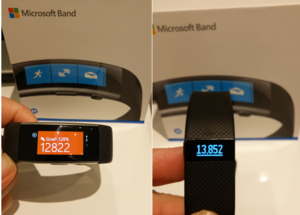 As you can see, the Fitbit is showing +1,030 more than than the Band 2. I also noticed then when I had previous bands as they must all measure differently. I know some get to you test out X distance to ensure your steps are accurate, but neither Fitbit or Microsoft get you to do this. Next up is the calculation of the total distance in kilometers. 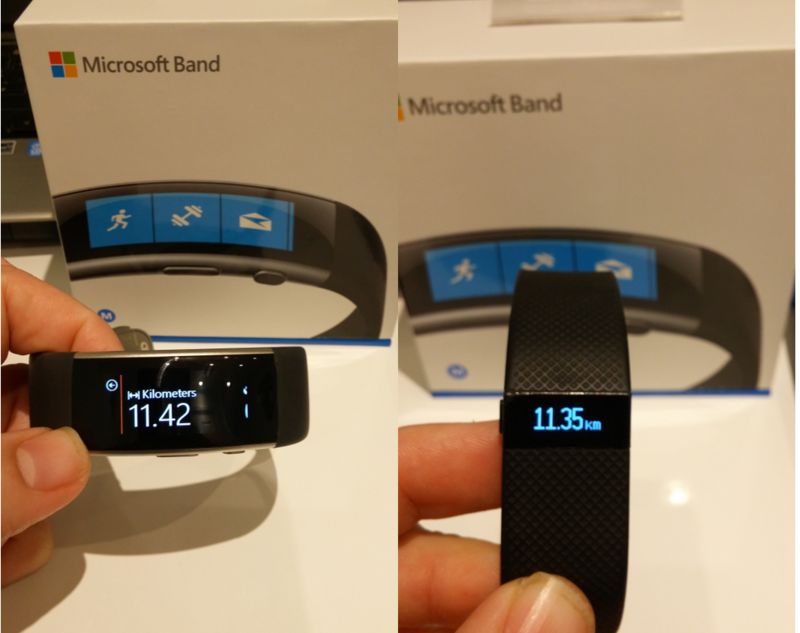 This time the Microsoft Band 2 is showing higher and is very close in this measurement. I know for running the Band 2 uses GPS, but not sure if it uses GPS for steps, suspect not as many steps are in doors. Finally the next count is the floor count. The Fitbit is showing that I climed 8 more floors than the Band 2. Also not sure on how each band is measuring the floor counts. I have heard from friends that their Fitbit devices do not even measure floors at times, so maybe it is a wild guess algorithm. So I thought I would add in the metrics from the run I did. I was concerned after reading some reports that the Band 2 was rubbish at reading your heart rate. Well after my run it seems fine, maybe it was fixed with the software update I did as part of setting it up. Good to see the HR matching. So that is the end of my basic comparison on the first day of use. Anyone else have any thoughts between the two platforms.